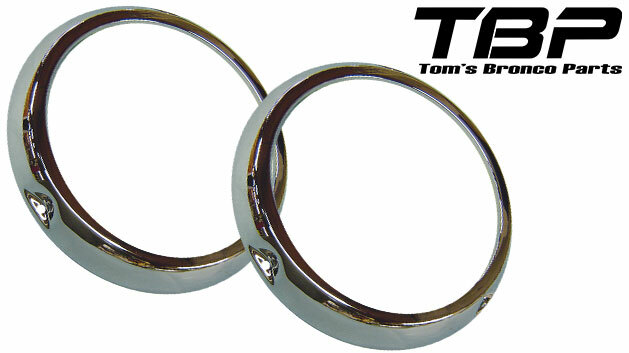 New pair of Chrome Headlight Rings for 66-70 Ford Broncos. Does not have headlight adjuster holes. Will fit 71-77 Broncos as well.